After a recent data loss, I had to restore several backups from various sources. Unfortunately, some of these backups were made on a Windows Server 2003 machine. However, it seems that Windows 7 does not come with any possibility to restore these backups out of the box, though. The Windows NT Backup – Restore Utility seems to be the solution for this issue. During installation you might get the notification to turn on Removable Storage Management – on Windows Vista. However, this is one of the features not available in Windows 7 anymore. Fortunately, Microsoft did release another version of this tool for Windows 7. Even the tool itself is now called Windows NT Backup Restore Utility for Windows 7 and for Windows Server 2008 R2 you will find it only as Update for Windows 7 x64-based Systems (KB974674) on the Web – of course this would be the exactly what you are going to look for, yes? Once downloaded the right bits and installed, you will see the familiar UI of the former backup tool. 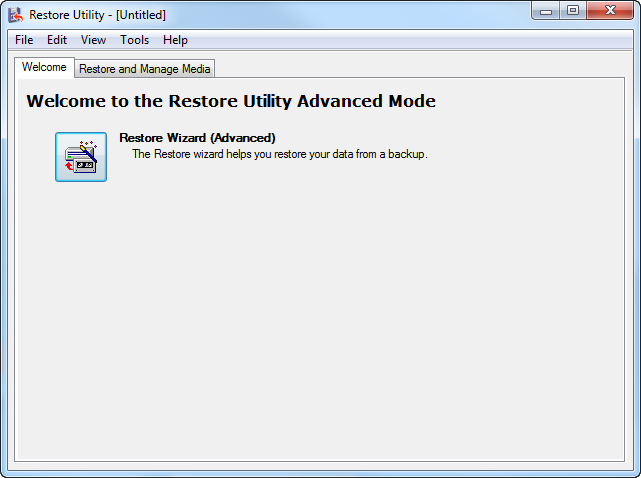 Simply follow the Restore Wizard to access your old backups. This entry was posted in windows and tagged tools, windows on October 3, 2011 by andreas. Nice eye candy in Windows 7. When selecting multiple items in the Windows Explorer, the preview stacks all the selected items. This entry was posted in windows and tagged windows on September 10, 2009 by andreas.